True luxury is timeless, effortless and indulgent. Launch your new life at the Alexan Arapahoe Square luxury apartment homes in Denver Colorado. Wrap yourself in apartment features that nourish personal comfort. Find layouts and floor plans that embrace your lifestyle. Boldly host your next party – you have the space everyone loves. Don’t be surprised if you become the new go-to hot spot. Take back your long weekends without having to leave your luxury apartment community. Relish luxury community amenities worth sharing with your closest friends. When plans do take you on the town, you can find hours of fun at every turn. Crave unique foods? They’re near. Unique entertainment? You’ll find it. Social spots to relax and enjoy your friends and make a few new ones? Right around the corner. Get more from moving than just a new address. That new “you” you’ve been planning, starts with your luxurious new “where”. Life isn’t all fun and game – until that’s all it is! Round up your friends and neighbors for high-end game night. 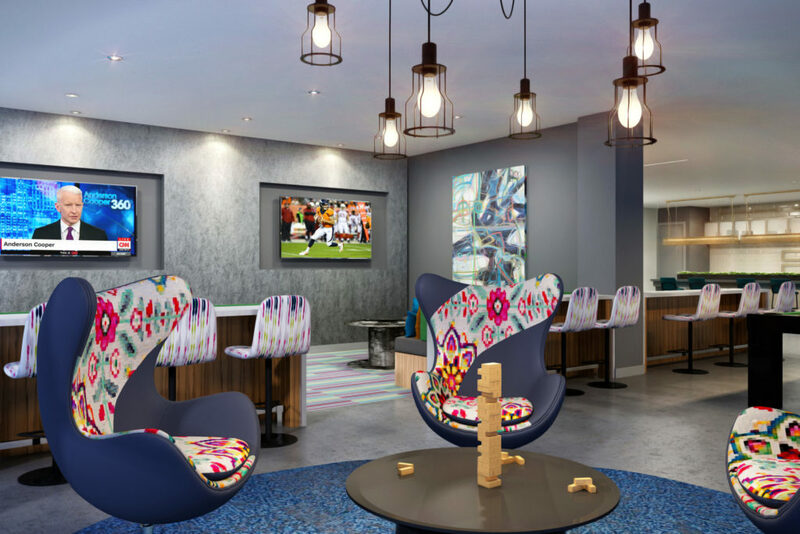 Find your new home inside the Clubroom. The only thing missing from this Gamer’s Paradise is the ticket exchange for the Skee-ball machine. Crave a bigger challenge than Skee-Ball? Try your hand at billiards and ping pong. Pop-a-shot is another gaming obsession you can foster. Rest your favorite adult beverage on the arcade cocktail tables and game the night away. When you are finished with indoor entertainments, you can retire to the rooftop bar. This bar features a more intimate setting for chats and grills that can really heat things up. Either way, you are in for a warm night under the Denver sky. Upgrade your life by upgrading your address. Enjoy your new home in Downtown Denver, by making your move to the Alexan Arapahoe Square luxury apartment homes in Denver Colorado.